I love art appreciation and helping other families get started with art appreciation. I spend lots of time reading art books and viewing websites that feature art and I have built up a whole library of great resources over the years. I am often asked what my favorite picks are for staring an art resource library because it can be confusing and most of us don't have a fortune to invest on all the great stuff out there to chose from. Building a shelf of books that will last you throughout your homeschooling years is tricky but if you plan right and budget a little each year you will soon have a library of books to pull from for your children. 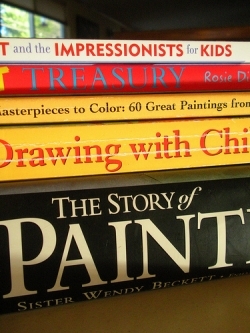 You could build an entire art curriculum from just these five books! This book is an overview of art history aimed at younger children but can be used with children up through middle school if you want to offer exposure to major artists and their paintings. The twenty-two artists included are familiar names to most of us and included in the book are large images of famous works of art that are child appropriate. 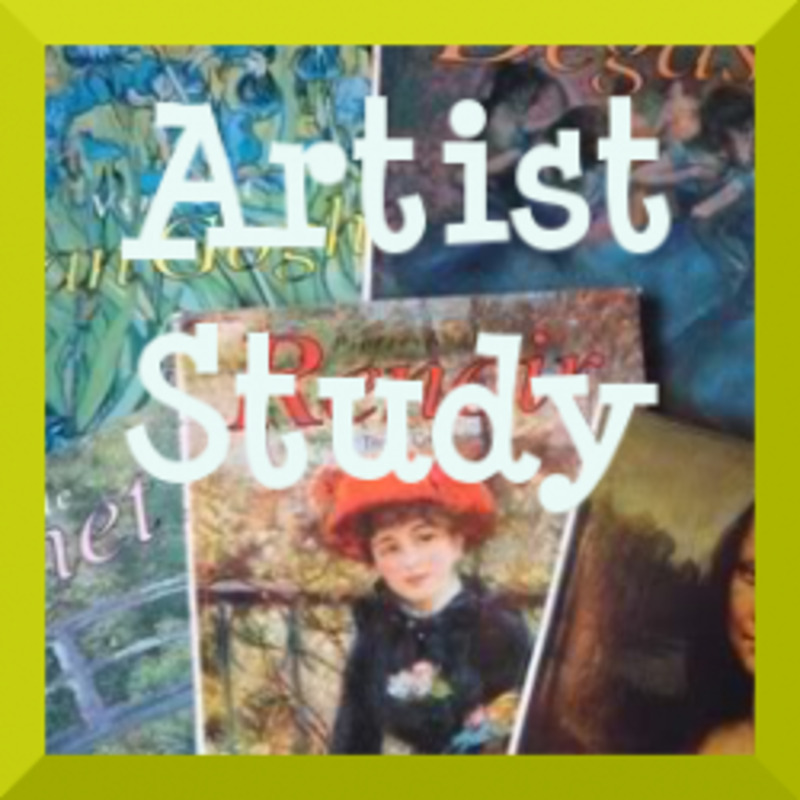 Each artist has a short biography with interesting facts and then a follow-up activity with common art materials you probably have on hand. This hardcover book will be a great start for your family to learn a little about some famous artists and then have a way to make a piece of artwork using their own creativity, inspired by the artist. Any parent can pick this book up and feel confident that they can help teach art appreciation to their own children. 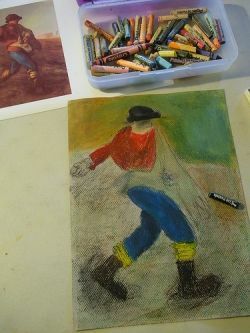 You can see how I incorporate this book into my Harmony Fine Arts Grade One curriculum in this blog entry on Edgar Degas. The follow up projects in this book are easy to complete even if you are beginner artists. The instructions are easy to follow and the materials are inexpensive and you probably have many of them on hand. You can view the artwork in the book, read the biography, and then offer the project to your children. This is a staple of our art appreciation program and it is the perfect coloring book to go along with any art plans you are using with your children. 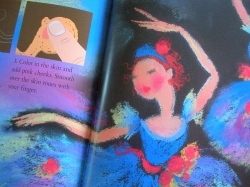 It matches up with the Usborne Art Treasury with blackline drawings of famous artwork. We use colored pencils, thin markers, or watercolors with our Art Masterpieces coloring book. The pages are printed on one side and blank on the other so you do not need to worry about your markers bleeding through. With sixty pages, this coloring book will last a long time and gives great value for your money. To learn more about how we use coloring books in your art appreciation, you can read my Dover Coloring Book page. If you would like to view the table of contents, you can click HERE. This coloring book is also used in my Harmony Fine Arts Grade One art plans. This coloring book can be used with colored pencils, crayons, watercolor pencils, watercolors (if you remove the pages from the book), or markers. 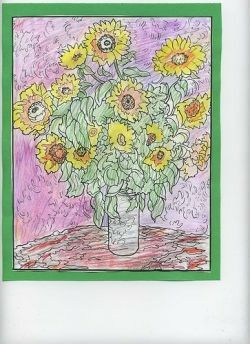 My children like to use these pages as a follow up to an artist study and they then may later wish to draw the painting out for themselves to paint. I think of the coloring books as stepping stones to doing their own copies of artwork. You can read more about how we use Dover Coloring Books in our family on my Squidoo lens Dover Coloring Books. "We need to stop mystifying the drawing process and explain to students how artists actually achieve the results they do. For instance, Picasso and Michelangelo both copied other artists' work for at least two years as part of their initial art training. When Picasso began to express himself in what were considered "unique" styles he was actually copying many of his images from African masks. Painters such as Degas and Toulouse-Lautrec worked from photographs of their subjects, and many famous painters have used each other's paintings for inspiration." Learning to draw is a process like learning a new language or playing an instrument. It progresses in spurts and you never know how it happens. Offering a program like Drawing With Children helped me to learn how to help my kids with their drawing skills. In the process, I found that sketching is a relaxing hobby and try to fit it in every week. I know that many of us grew up thinking that we had no talent in art but if you can spare a few minutes a week....you may surprise yourself. Helping them learn to draw is a gift that you can give your child that will last a life time.. 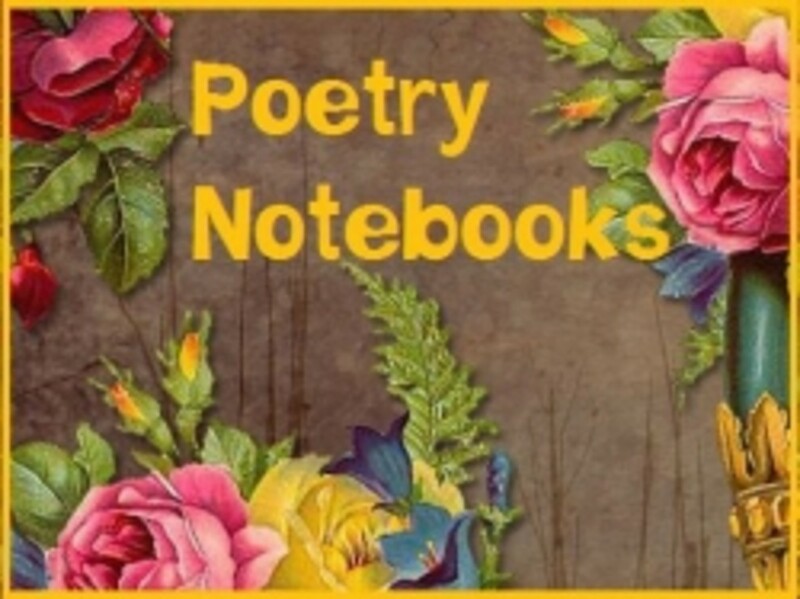 I have written thorough lesson plans to go along with this book and also shown exactly how to use each of the art supplies introduced in this book here on my Squidoo page Drawing With Children Nature Journal Style with Printable Lesson Plans. This book is also a part of my Harmony Fine Arts Grade 4 plans. If you would like to see some sketches from our work with this book, you can click over to my blog entry, Drawing With Children-At What Age? For many of us the Impressionists are some of our favorite artists and they are very appealing to children of all ages as well. 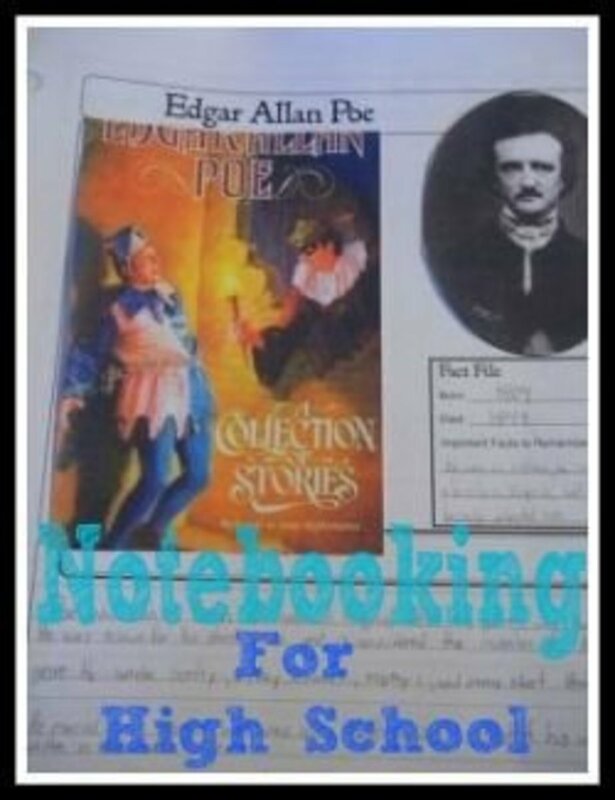 This book has it all with biographies and information about the Impressionist time period of art. There are suggested follow-up activities for each artist covered in the book. The materials used are common items you will have on hand. The biographies are a little more in-depth and would be more appropriate for middle schoolers to read or for the parent to read aloud. 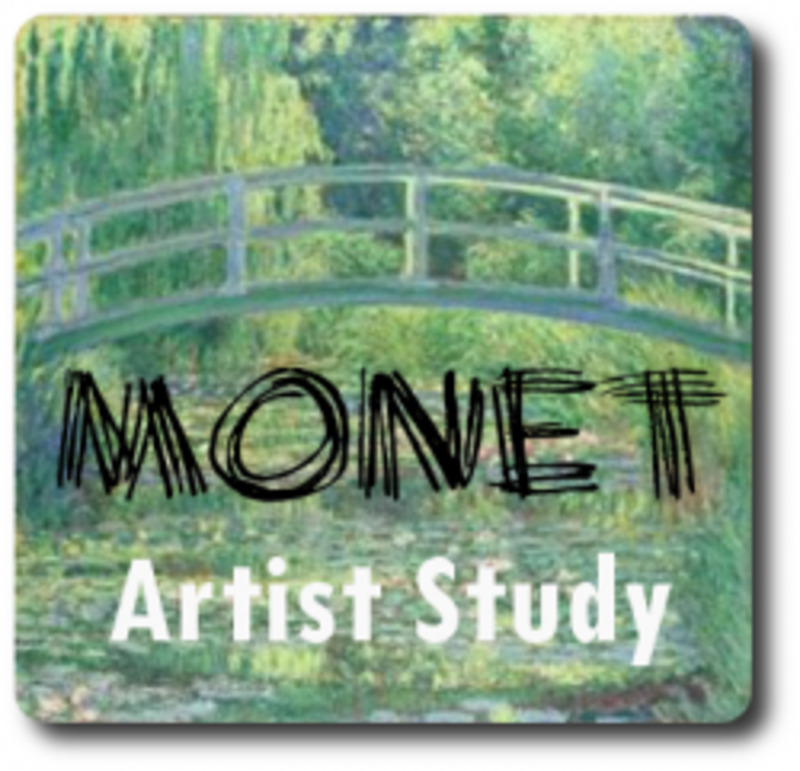 Monet, Renoir, Degas, Cassatt, Cezanne, Gauguin, and Seurat are all featured in this book. There is also a helpful timeline, large prints to view in color, a glossary of art terms, and a list of where to find and view the artwork featured in this book. Couple this book with the Art Masterpieces to Color book and you have a complete art program for the Impressionists. 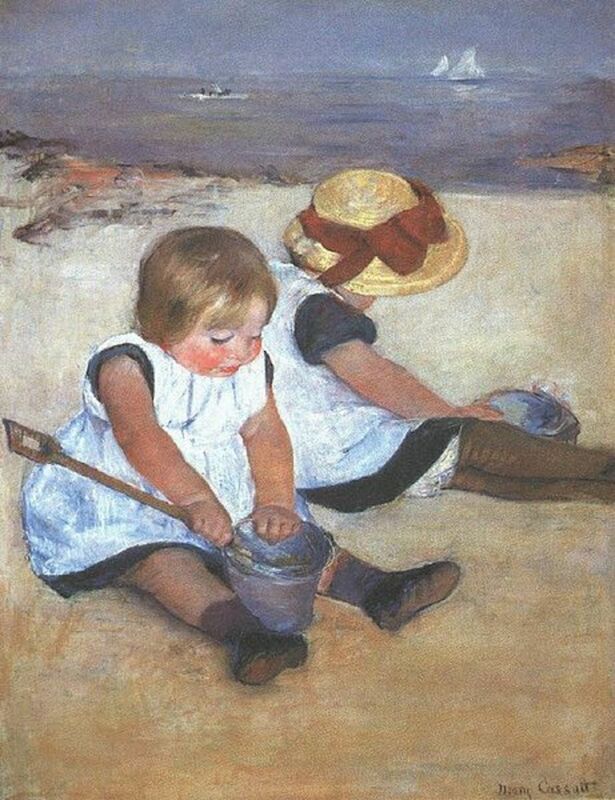 I would not hesitate to use this book with younger children to view the paintings or with older children as a jumping off spot for a more thorough study of the Impressionist time period. Read more specifics about the above linked plans. Once you hit high school, our children are ready for a more in-depth study of the artists they have become familiar with during the proceeding years. They are ready to put the artists together by time period and art periods. They are ready for more mature themes in art. The Story of Painting is the best choice in my opinion because of the large colored images and also nice close-ups of the details in some paintings. If you click over to Amazon.com you can look inside the book and get an idea of the quality of this book. I suggest planning on purchasing this book during the middle school years, using it to supplement your artist study and online viewing. We have used our copy of this book since 5th grade and my boys still use it just about every week as part of their art appreciation study. This large book gives you a overview of European art and with Sister Wendy's unique voice you will learn from her enthusiasm and spark. In our family we have taken over four years to work our way through this huge hardcover book. The paper quality is excellent and can stand up to years of page turning. This book has more colored illustrations and covers more ground than any other book that we have found at a reasonable price. Of course there are a few artists missing from the book but it does cover the major art time periods with lots of examples. 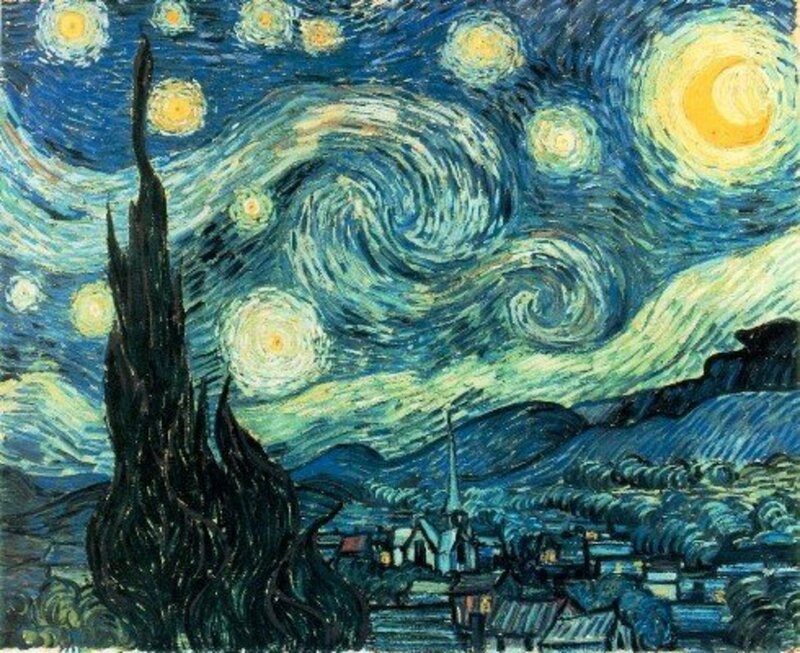 The Story of Painting is the basis for my art appreciation plans for Harmony Fine Arts Grades 9-12. 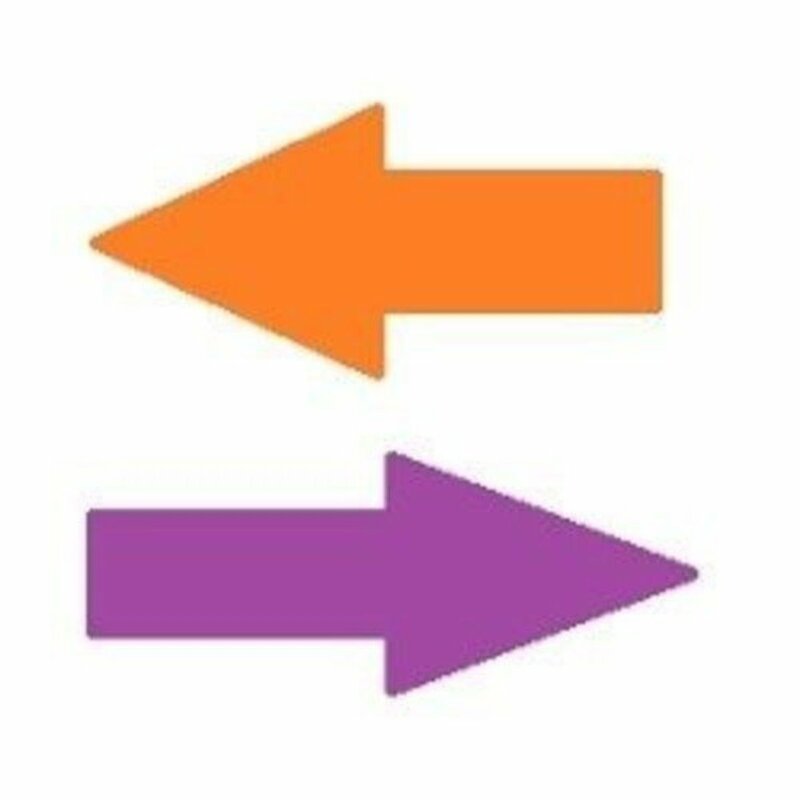 If you have another pick for a review, please leave a comment. These are excellent choices. I think the coloring books from the masters are awesome. Kids get great exposure and are fun to color for themselves. Wish I had these when I was growing up. Don't have a specific book recommendation per se, rather just a note that most art museums offer a guidebook (in the gift shop) that specifically covers their collection. 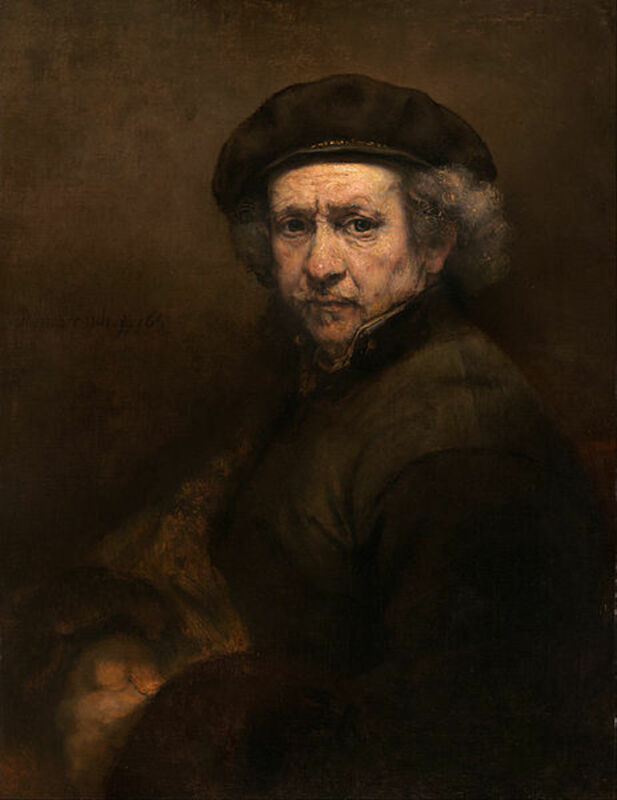 We've found these are usually quite reasonably-priced, and make any visit to the museum much more rewarding - in many cases being better than a general art textbook because they focus on works that you are sure to see. It's never too early to learn about art, in fact it's great to learn young as children haven't yet developed inhibitions or fixed ideas about what art has to look like in order to be of value. Actually, I wouldn't mind a couple of these books for myself! Great recommendations and a valuable topic -- thanks! Art is an important part of a child's education. Great list, Barb. I think that one could devise an entire art curriculum with these five books plus some online resources (art prints).